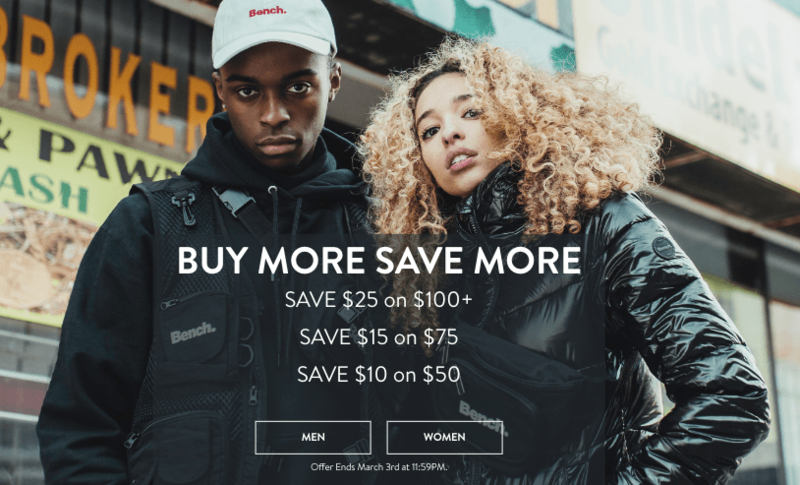 Bench Canada is offering a buy more save more event this weekend. You can save $10 off when you spend $50 on many men and women’s styles; save $15 off when you spend $75; or save $25 off when you spend $100+. This offer is valid until March 3rd, 2019 at 11:59 PM. 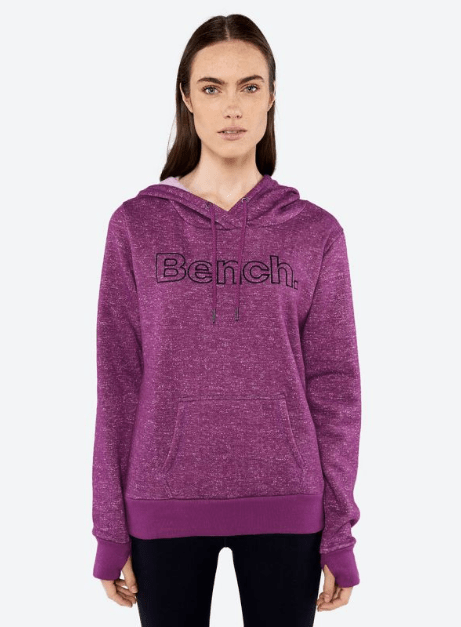 You can also save 40% off on Bench Canada’s selected styles for a limited time only, including hoodies, jackets, tees, and more. Not to mention, you can also save an extra 40% off on men’s and women’s sale items for a limited time only. This Reggaton B Hoodie is on sale for only $44.99. You’re saving $44.01 from the original price of $89.00! This hoodie features a hooded sweatshirt with drawstrings, front large pocket, large Bench logo on chest, and polyester blend. Bench Canada offers FREE shipping when you spend $99.00 or more.